Carla O’Connor received her BFA in painting from Kent State University, Kent, Ohio. She has done additional formal study at the University of the Americas, Mexico City; University of Dayton, Ohio; and the University of Wisconsin, Milwaukee. 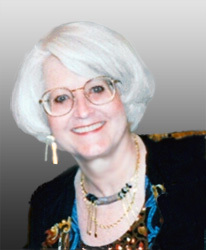 O’Connor is a signature member of the American Watercolor Society, National Watercolor Society and Northwest Watercolor Society and is an AWS Dolphin Fellow. American Watercolor Society International Exhibition 1991 (Prize and Traveling Exhibit), 1996, 1997 (Silver Medal of Honor and Traveling Exhibit), 1998, 1999 and 2002 (Prize), 2004 (Prize), 2006, 2007, 2008, 2009 (Prize), 2010 (Prize), 2011 (Prize), 2012, 2013 (Prize). National Watercolor Society Annual Exhibition: 1996, 1997 (Prize and Traveling Exhibit), 1998 (Traveling Exhibit), 2004, 2008. NWWS National Exhibitions: 1992 (1st Place Award), 1993 (1st Place Award), 1994 (Prize), 1995, 1996 (Prize), 1997 (Prize), 1998 (1st Place Award) and 1999 (Prize). NWWS 60th Year Exhibition, Frye Art Museum, Seattle, 2000. San Diego International Watercolor Exhibits, 1988 (Prize), 1989, 1990, 1992(Prize), 1995, 1996. The Watercolor Societies of Florida and San Diego. 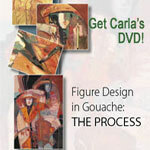 See the “Featured In” page for publications Carla has been featured in. 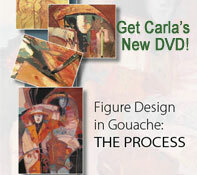 Visit the DVD page to learn more about Carla’s Figure Design in Gouache, THE PROCESS DVD. O’Connor’s Gig Harbor studio is open by appointment.